Massive transfusion is associated with high morbidity and mortality, yet existing reports of massive transfusion are limited. Our primary aim was to determine the incidence of complications and 30-day mortality among patients who received massive transfusions and to explore risk factors associated with 30-day mortality. We evaluated 971,455 patients from the American College of Surgeons National Surgical Quality Improvement Program (NSQIP) database. We assessed the associations between 30-day mortality and baseline, intraoperative, and postoperative factors among 5,143 patients who received massive transfusions and for whom complete data were available. The crude 30-day postoperative mortality of the non-transfused, low transfusion (1-4 units), and massive transfusion (≥ 5 units) patients in the NSQIP was 1.2%, 8.9%, and 21.5%, respectively. Of the 5,143 massive transfusion patients with non-missing covariable data, 17% (95% confidence interval [CI] 16% to 18%) died within 30 days of surgery, while 54% (95% CI 53% to 56%) had at least one non-fatal major complication. The following baseline and intraoperative variables were independently associated with 30-day mortality after adjusting for multiple testing: age, American Society of Anesthesiologists (ASA) physical status, emergency case, surgical types, coma > 24 hr before surgery, systemic sepsis, preoperative international normalized ratio of prothrombin time, the number of intraoperative transfusions, and requirement of postoperative transfusion. Massive transfusion is associated with substantial risk for respiratory and infectious complications and for mortality. Patients who died within 30 days of a massive perioperative transfusion were generally older, more likely to have vascular surgical procedure and abnormal international normalized ratio of prothrombin time, higher ASA physical status, preoperative coma and sepsis, and higher postoperative bleeding requiring transfusion, and they were likely given more intraoperative red cell units. Presented in part at the Foundation for Anesthesia Education and Research session at the 2010 Annual Meeting of the American Society of Anesthesiologists, San Diego. This article is accompanied by an editorial. Please see Can J Anesth 2013; 60: this issue. Alparslan Turan, Dongsheng Yang, Angela Bonilla, Ayako Shiba, Daniel I. Sessler, and Andrea Kurz helped design the study and conduct the study. Alparslan Turan, Dongsheng Yang, Angela Bonilla, Ayako Shiba, Daniel I. Sessler, Andrea Kurz, and Leif Saager helped write the manuscript. Les transfusions massives sont associées à des taux élevés de morbidité et de mortalité; toutefois, les comptes rendus existants portant sur les transfusions massives sont peu nombreux. Notre objectif principal était de déterminer l’incidence de complications et la mortalité à 30 jours parmi les patients ayant reçu des transfusions massives et d’explorer les facteurs de base associés à une mortalité à 30 jours. Nous avons évalué 971 455 patients dont les dossiers ont été tirés de la base de données du Programme national d’amélioration de la qualité chirurgicale (National Surgical Quality Improvement Program – NSQIP) du Collège américain des chirurgiens (American College of Surgeons). Nous avons évalué les associations entre la mortalité à 30 jours et les facteurs préopératoires, peropératoires et postopératoires parmi 5143 patients ayant reçu des transfusions massives et au sujet desquels des données complètes étaient disponibles. La mortalité postopératoire à 30 jours brute des patients non transfusés, ayant reçu peu de transfusions (1-4 unités) et ayant reçu des transfusions massives (≥ 5 unités) dans le NSQIP était de 1,2 %, 8,9 %, et 21,5 %, respectivement. Parmi les 5143 patients ayant reçu des transfusions massives pour lesquels nous disposions de toutes les données covariables, 17 % (intervalle de confiance [IC] 95 %: 16 % à 18 %) sont morts dans les 30 jours suivant la chirurgie, alors que 54 % (IC 95 %: 53 % à 56 %) ont subi au moins une complication majeure non fatale. Les variables de base et peropératoires suivantes ont été associées de façon indépendante à la mortalité à 30 jours, après ajustement pour tenir compte des tests multiples: l’âge, le statut physique ASA (American Society of Anesthesiologists), les cas d’urgence, les types de chirurgie, un coma > 24 h avant la chirurgie, un sepsis systémique, le rapport international normalisé préopératoire du temps de prothrombine, le nombre de transfusions peropératoires, et le besoin de transfusions postopératoires. Les transfusions massives sont associées à des risques importants de complications respiratoires et infectieuses ainsi qu’à un risque de mortalité. Les patients décédés dans les 30 jours suivant une transfusion périopératoire massive étaient en règle générale plus âgés, plus enclins à devoir subir une chirurgie vasculaire et présentaient un rapport international normalisé anormal du temps de prothrombine, un statut physique ASA plus élevé, avaient souffert d’un coma préopératoire et d’un sepsis, ainsi que de saignements postopératoires plus importants nécessitant des transfusions, et ils ont probablement reçu davantage d’unités de globules rouges pendant l’opération. Since the first reported successful blood transfusion in 1667 by Jean-Baptiste Denys, blood transfusion has evolved considerably with type matching and improved storage techniques. Undoubtedly, many lives have been saved.1 But administration of blood products remains associated with numerous complications and side effects, including infections, inflammation, and complications related to the collection, testing, preservation, and storage of blood products.2,3 The potential for longer-term adverse outcomes related to transfusions are substantial but less established. Massive transfusion is a necessary treatment of hemorrhagic shock; however, high rates of perioperative morbidity and mortality are associated with massive transfusion.4 Available reports of massive transfusion are from single institutions; they are limited to trauma or cardiac patients, have inadequate statistical power, or suffer from incomplete patient follow-up.5-7 These drawbacks make it difficult to generalize previous results in the surgical population of large community and teaching hospitals in United States. Previous studies do not fully evaluate perioperative risk factors and the association of massive transfusion with complications and mortality.8-10 Consequently, defining risk factors associated with adverse longer-term morbidity and mortality remains problematic. The American College of Surgeons National Surgical Quality Improvement Program (NSQIP) database includes surgical outcomes from 200 participating centres that prospectively collect data using standardized methods, and it provides researchers with a vast and broad sample. Our primary objective was to use the NSQIP database to determine the incidences of any non-fatal major complications and 30-day mortality among patients who were given ≥ 5 red blood cell units. Our secondary aim was to assess associations between 30-day mortality and baseline risk factors, intraoperative risk factors, and postoperative complications in patients who received massive transfusions. We identified non-transfused patients, patients who received 1-4 units of red blood cells, and patients who received massive transfusions of at least 5 units of red blood cells intraoperatively. Components of our composite outcome are detailed in Table 1. We further defined superficial surgical site or urinary tract infections as minor complications. Important data were missing in 21% of patients receiving massive transfusions; about 92% of the missing data were laboratory variables among this group of patients. Hamilton et al.14 pointed out that missing data in NSQIP are not missing-at-random data; we therefore included only patients with complete data. Pre-specified complications as well as mortality within 30-day follow-up were analyzed. For each of these outcomes, the proportion of patients experiencing the outcome and its associated 95% binomial exact confidence interval (CI) were estimated. The surgical procedure is a strong predictor of complications and mortality; thus, it was important to adjust for this variable in assessing the relationship between massive transfusion and outcome. We clustered patient procedures into one of the 244 clinically meaningful categories by using the clinical classifications software (CCS) procedures developed by the Agency for Healthcare Research and Quality (http://www.hcup-us.ahrq.gov/toolssoftware/ccs_svcsproc/ccssvcproc.jsp). We then aggregated the identified CCS categories into one of the following 12 surgical categories: general, vascular, thoracic, orthopedic, neurosurgery, urology, otolaryngology, plastics, podiatry, ophthalmology, oral surgery, or gynecology. Since some of 12 surgical categories in the dead group had low-frequencies (n < 7), we combined them into a single group in the study. The bivariate association between 30-day mortality and candidate baseline and intraoperative risk factors was performed with univariable logistic regression (Table 2). The association between the 31 factors listed in Table 2 and postoperative 30-day mortality in massive transfusion patients was assessed using a multivariable logistic regression model. A backward variable selection procedure with an inclusion criterion of P < 0.10 was used. The variance inflation factor was computed for each predictor in the linear regression to examine any possible multicollinearity. The association between individual major complications and postoperative 30-day mortality was assessed using a multivariable logistic regression model adjusting for significant baseline covariables via a backward selection procedure (with stay criterion of P < 0.10) among the baseline and intraoperative factors listed in Table 2, including transfusions for postoperative bleeding. The relationship between the number of red blood cell units given intraoperatively and time to discharge alive was assessed with a Cox proportional hazard model adjusting for baseline and intraoperative variables via a backward variable selection procedure (with stay criterion of P < 0.10). Patients who expired before discharge were considered failures and assigned a length of stay one day longer than any patient who was discharged alive. We also assessed the proportional hazard assumption for the number of red blood cell transfusions using visual Schoenfeld residuals. Our sample size is based on using all available patients from 2006-2009. The primary goal of the study was to estimate incidences of the primary outcome with good precision. With 5,143 patients, we were able to form a 95% CI for any complication with half-widths from 0.5-1.5% using the observed highest incidence of 54% and the lowest incidence of 3%, respectively. SAS® statistical software (SAS Institute Inc., Carey, NC, USA) was used for all analyses. All tests were two-sided. When assessing the association between risk factors and 30-day mortality, Bonferroni correction was used to adjust for multiple testing in the multivariable logistic regression model based on the number of initial 31 candidate variables (i.e., alpha = 0.05/31 = 0.0016). Bonferroni correction was also used when assessing the association between 30-day mortality and eight individual complications (i.e., alpha = 0.05/39 = 0.0013). Among 971,455 patients in NSQIP during 2006-2009, 862 were missing information on blood transfusion, 917,651 were not given blood, 45,457 were given 1-4 units, and 7,485 received massive transfusions. The crude 30-day postoperative mortality of the non-transfusion, low transfusion (1-4 units), and massive transfusion (≥ 5 units) patients was 1.2%, 8.9%, and 21.5%, respectively. Meanwhile, the crude 30-day postoperative mortality of 862 patients with missing information on blood transfusion was 3.5% (Fig. 1). Among 7,485 patients receiving massive transfusion, 771 were excluded because of American Society of Anesthesiologists (ASA) physical status greater than IV, and 1,571 were excluded because of incomplete baseline or preoperative laboratory data. The observed incidence of 30-day mortality was 19% in the excluded patients who had incomplete baseline information (n = 1,571). The observed incidences of 30-day mortality and individual complications are summarized in Table 1. Eight hundred sixty-seven (17%; 95% CI 16% to 18%) of the 5,143 massive transfusion patients expired within 30 days of surgery. Table 2 shows the bivariate association between 30-day mortality and baseline, intra-operative, and postoperative factors. Univariably, the number of intraoperative red blood cell transfusions in patients who expired within 30 days postoperatively (median [25th, 75th percentiles]: 8 [6, 13]) was greater than in patients who survived (6 [5, 9]), with univariable P < 0.001 (Fig. 2). In a multivariable analysis of the massive transfusion patients (Table 3), nine variables were independently associated with 30-day mortality after adjusting for multiple testing: age, ASA physical status, emergency case, surgical types, coma > 24 hr before surgery, systemic sepsis, preoperative international normalized ratio (INR) of prothrombin time (abnormal vs normal), the number of intraoperative red blood cell transfusions, and postoperative blood transfusion. Discriminative ability of the model on the original data was good, with a c-statistic (SE) of 0.80 (0.008). Multivariable associations between the individual major complications and mortality are shown in Table 4. Patients with systemic infection, urinary tract complications, central nervous system complications, cardiovascular and other complications were more likely to expire within 30-days of surgery (all P < 0.001). About half of the massive transfusion patients were discharged alive within 13 days (95% CI 12 to 13) in a Kaplan-Meier time-to-event analysis. Patients were an estimated 5% less likely to be discharged alive at any point in time for each unit increase in red blood cell transfusion [multivariable hazard ratio (95% CI): 0.95 (0.942 to 0.955); P < 0.001] adjusted for significant baseline and intraoperative covariables. There was no serious violation of the proportional hazard assumption for the number of red blood cell transfusions over time. Our study showed that 30-day mortality was 17%, and non-fatal major complications were seen in more than 50% of patients when ≥ 5 units were transfused. The most common complications were respiratory events, systemic infections, and renal complications — and some were significantly associated with mortality. Mortality was associated with increased age, vascular surgical procedures, high preoperative INR values, preoperative coma and sepsis, higher ASA physical status scores, requirement of postoperative transfusion, and the number of intraoperative transfusions (5% less likely to be discharged alive with each unit transfused). We confirmed a number of traditional risk factors for transfusion-associated mortality. For example, risk was higher in older patients, in those given higher (worse) ASA physical status scores, in those having complex and emergency procedures, and in those who had renal failure or sepsis.9 Then again, we also identified several new factors. For example, preoperative INR level was independently associated with elevated 30-day mortality. There are some reports suggesting that coagulopathy contributes to mortality in trauma patients, and high initial partial thromboplastin time was found to be a predictor of mortality. The mechanism behind these findings is elusive but presumably associated with an increased risk of bleeding and thus an increased requirement for transfused red blood cells.15 Alternatively, transfusions per se provoke substantial changes in the coagulation system, specifically, dilutional and consumption coagulopathy16 and decreased platelet numbers, which worsen the outcomes in patients with pre-existing coagulation weaknesses. Transfusion volume was associated with a risk-adjusted increase in the likelihood of minor complications, including prolonged postoperative ventilation after cardiac surgery.8 Although respiratory complications were the most frequent type of complication, we were unable to show a specific association between respiratory complications and increased mortality. Lack of association probably results because the ACS-NSQIP database lacks clear definition and diagnoses of TRALI and it includes minor respiratory complications that are far more common but have less prognostic importance. Massive transfusion almost doubled the risk of renal failure in our study population. How transfusions might contribute to renal failure remains unclear; however, leukocytes are widely believed to be an important cause of acute kidney injury. As might thus be expected, leukocyte reduction of allogeneic blood products appears to decrease acute kidney injury and mortality in massive transfusion patients.22 We do not know which red blood cell units were leukocyte-reduced; but virtually all transfused blood in the United States during the study period was filtered. We do not know the mechanism of renal failure in the NSQIP patients, but the most probable mechanism seems to be kidney hypoperfusion. Although this is generally reversible when renal perfusion pressure is restored, prolonged hypoperfusion may lead to irreversible renal failure. As expected, renal complications were associated with increased mortality. This finding is consistent with previous studies showing that perioperative renal injury is common and substantially increases the risk of mortality. Transfusions were associated with a subtle increase in central nervous system and cardiovascular complications. While the incidence of these complications was low, they were the ones most associated with mortality. The mechanisms by which transfusions might increase the risk of serious central nervous system and cardiovascular complications remains unclear, but circulatory overload, metabolic derangements, and inflammatory and coagulopathic complications may all contribute. It is also likely that transfusions increase mortality at least in part by aggravating pre-existing conditions. There are many definitions of massive transfusion in the literature without much consensus. We used 5 units, which is more appropriate for acute surgical bleeding than for major trauma. Consistent with our definition, others have used ≥ 5 units in a four-hour period.24,25 Our surgical time frame also fits the definition since most of the operations in the NSQIP dataset lasted around four hours. Currently, our study could not make an inference about the effect of blood transfusion on mortality by using only massive transfusion patients; however, when we look at the independent association and the association between mortality and the complications and risk factors, we treated the number of blood transfusions as an important confounding factor. For example, if we assess the independent association between age and mortality in the massive transfusion, the number of blood transfusions would be a very important confounding factor for which we have to adjust. For this reason, we kept the number of blood transfusions in the model as a confounding variable to adjust but not to assess. An advantage of using the ACS-NSQIP registry is that it includes pooled data from numerous academic and non-academic institutions throughout the country. The large sample size and broad representation of the ACS-NSQIP registry thus provides excellent information about large community and teaching hospitals; however, the situation in small and rural non-participating facilities is unknown. Furthermore, inclusion criteria are uniform and reliability is enhanced by consistent data collection and auditing. It would probably be impossible to perform a randomized trial of massive transfusion, but lack of random allocation left us to rely on associations, which can result from bias and confounding, along with (or instead of) the presumed causal mechanism. We used multivariable analysis to correct for imbalances and known and available confounding factors; however, there are known potential confounding factors that are not included in the NSQIP database, and surely there are others that remain unknown. For example, the registry does not include medications which might include drugs that impair coagulation. While we identify a clear statistical association between massive transfusion and adverse outcomes, including death, it is simply an association and does not necessarily imply a causal mechanism. There are many convincing mechanisms by which transfusions might worsen outcomes, but the association could equally well result, fully or partially, from confounding. For example, patients who have more extensive operations (of a given type) experience more tissue injury and stress and consequently fare worse. The most conservative interpretation of our results is as follows: There is a non-causal association between massive transfusion and adverse outcomes. Exclusion of patients with missing information (the complete-case approach) can also result in substantial bias and underestimate risks of patients because excluded patients may have the highest comorbidities and thus be at highest risk of mortality. To estimate the contribution of this potential bias, we calculated the mortality rates in excluded and included patients and found the rates to be similar. 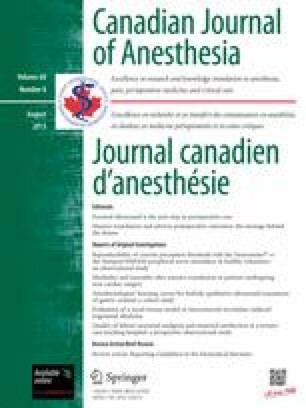 Another concern is that the NSQIP registry contains only limited detail about anesthetic management; consequently, it is difficult to estimate the extent to which interventions by anesthesiologists might have influenced outcomes. Another important factor is that the current data set reflects the outcomes of blood bank and surgical practices in the United States, which may be different in other countries. In summary, the complications most associated with mortality are infections and complications of the renal, cardiovascular, and central nervous systems. While the associations with adverse outcomes are clear and highly statistically significant, the relative contributions of transfusions vs underlying disease and surgical factors remain to be determined. Patients who expired after massive transfusion within 30 days postoperatively were generally older, more likely to have vascular surgical procedure and abnormal preoperative INR values, higher ASA physical status scores, preoperative coma and sepsis, postoperative bleeding requiring transfusion, and were likely given intraoperative red blood cell units. The work was supported by internal funds. None of the authors has any personal financial interest in this research. The work is from the Department of O utcomes R esearch, Cleveland Clinic.